The Timber, Fish and Wildlife Agreement (TFW) began in 1987 and later resulted in implementation of the Forest and Fish Report (FFR) in 1999. This agreement allowed for funding allocation to the 26 tribes in Washington State to participate in the development and monitoring of the new Washington State Forest Practice Rules, which outline FFR requirements. The FFR modified riparian timber harvest prescriptions in order to provide greater riparian and aquatic protection for streams and rivers while meeting the requirements of the Endangered Species Act and Clean Water Act. This included new rules regulating harvest in riparian areas, more stringent road building requirements and increased wetland protection, while still providing a fair economical outlook for the timber industry in Washington State. As part of the FFR, a statewide Adaptive Management Program (AMP) was developed to validate the effectiveness of the new rules in protecting stream function while providing a viable timber industry. The Scientific Advisory Group-Eastside (SAGE) is responsible for developing research projects to support the AMP for eastern Washington’s state forest practice rules. The goal of SAGE is to validate the data and assumptions underlying the east-side riparian harvest prescriptions designed to protect water quality and salmonids. SAGE consists of biologists from both eastern and western Washington representing Washington’s tribes, the timber industry, Washington Department of Fish and Wildlife, Department of Natural Resources and other entities. One of the first studies under the AMP was the Perennial Initiation Point Survey (PIP). The new forest practice rules provided different degrees of protection for perennial and season (Type N) streams in Washington. This study was designed to scientifically determine if the established parameters were reasonably correct. In 2001, the study was conducted statewide by tribes and other caucuses. In 2002, Cooperative Marine Education and Research (CMER) voted to discontinue the survey after pilot study data indicated a significant difference between science and the new forest practice rules. 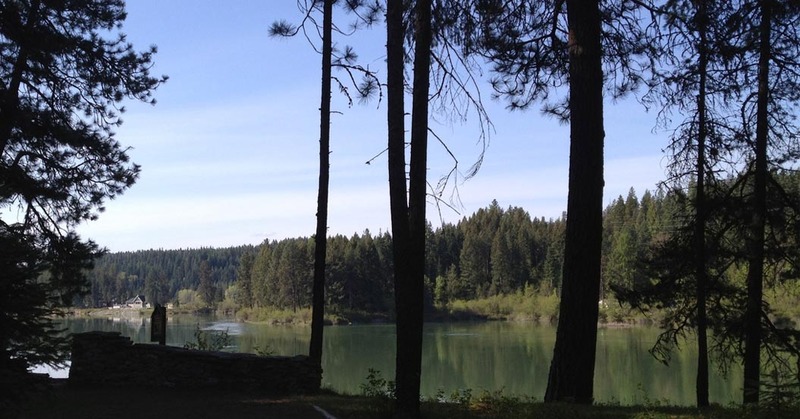 Following that decision, the Colville Confederated Tribes and the Kalispel Tribe of Indians collaborated to collect additional information on existing PIP study sites, while adding new sites from different eco-regions in eastern Washington. The Forestry Department is responsible for timber sales, timber appraisals, pre-commercial thinning and forest inventories. Prescribed burns, Wildland Urban Interface (WUI) programs and fire camp crew dispatching are also within the scope of work of the department.